The Vines We Planted is available for purchase in print and as an ebook at Amazon, Barnes and Noble, and IndieBound. 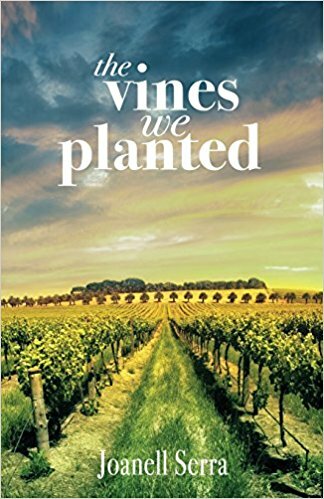 To win a copy of the print version of The Vines We Planted, please enter using the Rafflecopter form at the bottom of this post. The giveaway contest closes Sunday, May 6th at 12 AM EST. We will announce the winner the same day in the Rafflecopter widget. Good luck! 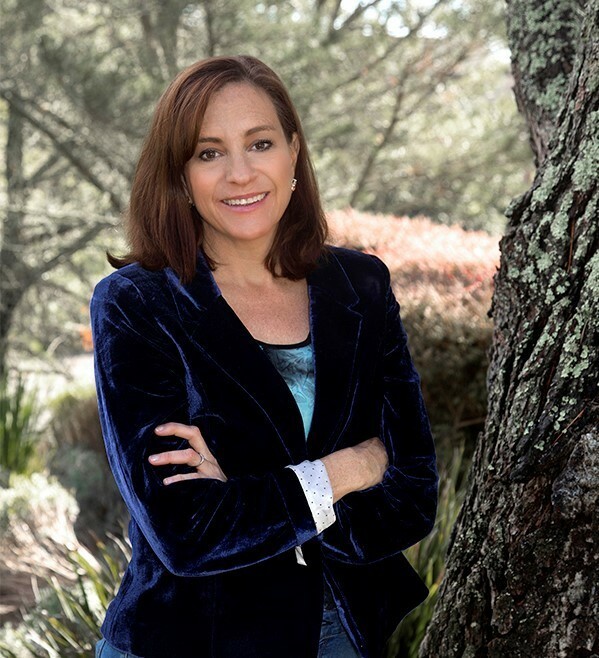 Joanell Serra, MFT lives with her growing children, husband and dogs in the lovely Sonoma Valley. After years of publishing short stories, essays and plays, The Vines We Planted is her debut novel. She can be found polishing her second novel at a coffee shop, sipping a perfect Cabernet in a Sonoma winery or at her website: www.JoanellSerraAuthor.com. WOW: Thank you so much for being here and thanks for choosing WOW! Women on Writing to help promote The Vines We Planted. I absolutely love working with WiDo authors - You published The Vines We Planted with WiDo and I'm wondering if you can tell other authors what you learned from the publishing process and how you came to choose WiDo Publishing? Joanell: Publishing your debut novel is always a journey! This novel started out as a series of short stories, but the agents and editors who read it had the same feedback: this should be a novel. This led to a total rewrite, of course. Next, like everyone, I hit some tough bumps on the path to publishing: an agent who wanted to work with me but “couldn’t sell literary,” editors insisted I should eliminate the multiple perspectives, etc. But I believed in the story, and knew it had to be told from diverse perspectives. Eventually, I heard interest from several publishers at once, all relatively small independent presses that I’d approached months earlier. After thorough research, I decided to go with Wido. It has been such a positive experience, I now can’t imagine it any other way. The team is very responsive and respectful of my choices, and I feel connected and encouraged by my fellow Wido authors. WOW: So glad that you included us as part of your journey - thank you! Your cover is lovely - how did that process work? Did you play a role in choosing cover art? Tell us more! Joanell: Thanks, I love the cover too! Wido handles the cover with input from writers. I sent them some examples of covers I liked, and they worked with the artist. I did get a chance to give input, and we tweaked colors and fonts a bit, but I loved the overall concept right from the start, and it’s getting awesome feedback. The beautiful vineyards are of course the setting for the novel, and I think the artist shows the shimmering beauty we all love here in Sonoma, while hinting at the intricacies of the “tangled” relationships. WOW: It's wonderful that you have input each step of the way. Your bio claims you've seen your words come to life on stage - please tell us how that came about and how you felt being part of the process? Joanell: I’ve been involved in the theater in a variety of ways over the years, most predominantly as the mother of a professional actor. When I saw a play-writing contest through the Redwood Writers branch of the American Writers Club, I decided to try my hand at writing a play. I was thrilled to be one of the six writers chosen. 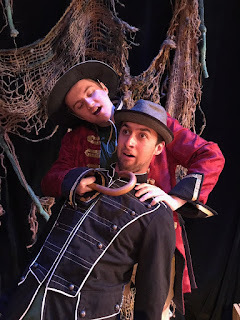 We had our short plays produced professionally at the 6th Street Theater in Santa Rosa. Honestly, watching the play come to life was one of the best experience I’ve had as a writer. I have recently completed a full length play inspired by the fires in Sonoma this fall. I’m in the process of submitting it to theaters, hoping to workshop this one as well. WOW: I'm learning so much today - thank you for being so forthcoming about all you are involved in. Good luck with this submission! You've got our support and speaking of support, who has been most supportive in your writing and publishing journey and how so? Joanell: Who supported and encouraged me on my writing and publishing journey? That’s a long list. My husband and children cheered me on through the rejection letters and rewrites. My writing group gave me the initial confidence to put my work out into the world. There were several key conferences that I attended that built my confidence, the most special being the Community of Writers at Squaw Valley. At Squaw, I spent a magical week in the mountains with a small group of stellar writers I came to call friends, and heard enough positive feedback to push through the rewrites. Redwoods writers immediately offered resources and inspiration. Wido has been welcoming, encouraging and most importantly they said from the start that they loved the book. WOW: I'm absolutely smiling ear to ear about all the support you have - no wonder you have some much enthusiasm for supporting and helping others! What's next for you - personally and/or professionally? I am deep into the first draft of the next novel, which is also set in Sonoma. While I wouldn’t call it a sequel, a few of the characters from the Vines We Planted will cross over in the next novel. After years of rewrites on TVWP, I’m loving the process of creating a brand new story. As I mentioned, I’m also working on a play, and am always writing smaller pieces. Personally, I’m excited for launching this novel into the world. I’ll be throwing my energy into promoting this summer while working on novel #2, but in September I’ll put work aside to attend a woman’s retreat in Tuscany with Jennifer Pastiloff and her crew. Very excited for that! As always, my family’s growth is exciting to me as well. This year that means other “launches” - one son moving to NYC, a daughter graduating college, a wedding celebration, and a son starting senior year of high school. It is never boring at our house. Hopefully my husband and I will find a few quiet moments to enjoy a glass of Sonoma Cabernet. WOW: Well I certainly knew you wouldn't be sitting idle watching the grass grow! Best of luck with all your plans and enjoy that Cabernet! Thank you again for sharing your time and talents with us here at WOW! Elizabeth at Word Nerd reviews The Vines We Planted by Joanell Serra and interviews this popular author about her latest work! Don't miss today's review of The Vines We Planted by Joanell Serra. Readers at Phytallic will be delighted and intrigued! Catherine Brown shares her review of The Vines We Planted with readers at Write Happy. You won't want to miss this opportunity to learn more about author Joanell Serra and her latest work! Crystal Otto reviews The Vines We Planted by Joanell Serra. Beverley Baird reviews Joanell Serra's latest work The Vines We Planted and shares her thoughts with readers at Beverley A Baird. Readers at Coffee With Lacey learn more about the beautiful The Vines We Planted as Lacey reviews Joanell Serra's latest novel. Joanell Serra is today's guest blogger at Choices. Her article about Mental health is one you won't want to miss. Learn about this and find out about Serra's novel The Vines We Planted. Fellow author Ellen Valladares shares her thoughts after reading Joanell Serra's The Vines We Planted. Joanell Serra pens today's guest post with Kathleen Pooler - don't miss Serra's insight about mother/daughter relationships and find out more about her new book The Vines We Planted. Anjanette Potter reviews Joanell Serra's The Vines We Planted and shares her thoughts with readers at BookWorm! Enter to win a copy of The Vines We Planted by Joanell Serra! Just fill out the Rafflecopter form below. We will announce the winner in the Rafflecopter widget on Sunday, May 6th! I didn't plan on stalking someone. It just happened. There I was at one of my favorite bookstores, strolling up and down the aisles, when I saw the above book. I pounced on it. Taking it to the cashier, I almost felt guilty. I mean, I didn't buy the book simply for the joy of reading it, although I'm sure I will enjoy reading Caught Between Two Curses. I also didn't buy the book for my classroom library, although I know that once I'm finished with it, I will either put it on my shelf in my class or offer it as a giveaway to fellow writers/bloggers. No, I bought the book to spy on Margo... to examine what writing choices she made... to try and find out what makes Margo tick as a writer. Why? Why am I interested in getting into her head? Why have I become a stalker? 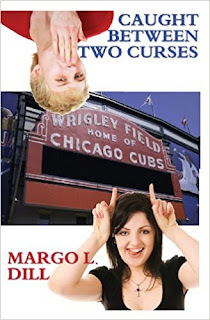 I want to get into Margo's head because I want to know if she'll get into my manuscript. Somehow, I think that as I read her words and get engrossed in the story she's spun, I'll feel a connection, a certainty that she will appreciate the story I've crafted. And the stalking part? Well, this manuscript is the first baby I'm not thinking people will label "breathtaking." I'm keeping my fingers crossed that people don't shudder when they read it... And yet that is the point of hiring an editor. An editor will tell me if my baby is a monstrosity... or whether it's something worth cuddling and nurturing and feeding. Should it grow, or should it be set aside? A decent editor will tell me. As writers, we sometimes are blind to the flaws in our work. If we've worked for a year or two or three on a project, we develop rose-colored glasses. Our story starts sounding like it's Pulitzer Prize material. The holes, the stilted parts, the tangled-mess-of-a-plot? All that disappears as we bask in the glow of what we created. So Margo, be gentle with me. No, I take that back. Be honest with me. When I get around to sending you my manuscript (which will be soon), tell it to me straight: Do I have a beautiful baby, or is it "breathtaking"? And for those who have hired an editor in the past--or if you're an editor yourself--I'd love to hear from you. 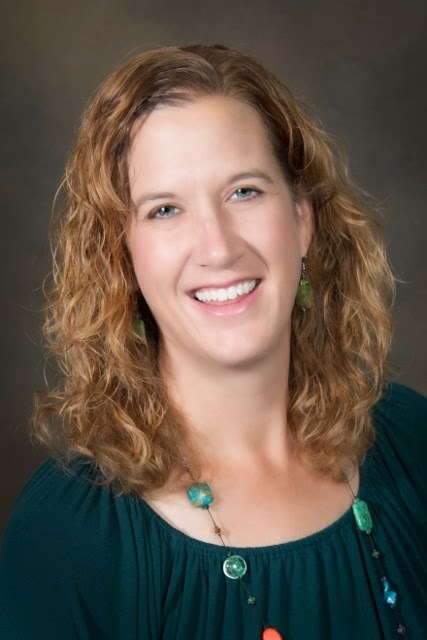 Sioux Roslawski is a freelance writer, a middle-school teacher, a consultant with the National Writing Project, a wife, a mom, a grammy and a dog rescuer. In her free time she reads (until she falls asleep, drooling and snoring). If you'd like to read more of her stuff, check out her blog. In honor of the last three days of National Poetry month, I've been trying to define poetry so I could share it under the heading "Part-time poet provides key to understanding poetry." You've probably already noticed that this is not the title of the blog post, so, therefore, I do not hold the key. I did, however, write a poem about it. Provide comfort in the unfamiliar. Sway along to the silent music anyway. Because love and language hold us there. It's not perfect, or complete, but as close as I could come to an explanation. And just to be sure I was on the right track, I asked an expert. "Alexa, what is the definition of a poem?" "A poem is usually defined as a composition written in metrical feet forming rhythmical lines." She provided a satisfying answer, and I thought the two of us had covered the topic pretty thoroughly. But then I found Samuel Taylor Coleridge's definition that blows everything else out of the water: Poetry equals the best words in the best order. Coleridge wins the Best Definition of Poetry award, and I've come to the conclusion that poetry is all of the above, and more. 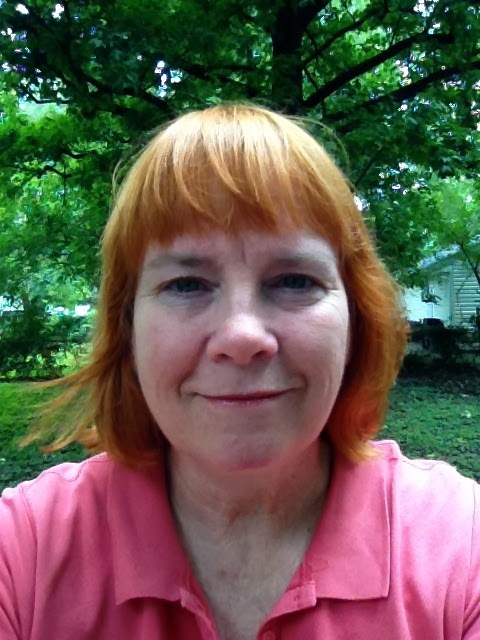 Mary Horner is a part-time poet, editor, and writer who teaches communications at St. Louis and St. Charles Community Colleges. She does not, however, hold the key to understanding poetry; that honor belongs to Samuel Coleridge. She did not mind losing to him because his definition is truly elegant. But losing to Alexa was a whole other thing. A love for writing isn’t something that just appears out of the blue. It’s a feeling that rests inside the soul of your typical introvert. She daydreams about imaginary boyfriends and fictional witch powers. She spends her days watching everyone and everything around her and writing about it in a journal. She even turns her favorite TV or movie characters into bizarre romantic fanfiction. That’s what we do. We dream, and we write things. But sometimes the journal entries and fanfic just aren’t enough to satisfy her creativity. She wants to break out into publishing real stories for people all over the world to read. But writers want to write, we don’t all want to spend our lives querying in hopes that some publisher will think we, or our stories are good enough. So, what do we do? We self-publish. There are some tips I always share with anyone looking to self-publish. 1. Keep a journal for notes, and outlines of the story you want to tell. Profile your characters, imagine they are real people, and write about them like they are real humans you interact with daily. In the mind of a writer, they are real people. 2. Have a budget prepared for editing, cover art, and ISBN numbers. These things are essential when publishing on your own. 3. Create a website. You need a space that is all your own to display your work and keep in contact with your fans/readers. 5. Never let anyone discourage you from from doing what you love. Not a negative review, not a book snob, or those who wish they had the passion and talent to create like you do. Have faith in yourself and your work, and the blessings will be never ending! Born and raised in Washington D.C., writing has been my passion since I was young. I'm a multi-genre published author, blogger, freelancer, philanthropist and I aim toward marginalized groups with my work. I use my talents to give back, by raising awareness and donating my book royalties to non-profit organizations that aid women, children, those in poverty and other minority groups. Have you ever read a piece of your writing that you wrote when you first started? Does it even sound like the way you write now? You've most likely improved your craft with each piece you've written. But why has that happened? And can you improve it more? Or maybe you're a newbie, and you want to improve your craft and get published. Wherever you are in your writing career, here are three things you can do to improve your writing craft. I really think this is the number one thing you can do. You can do this with a good critique group, trusted beta readers, or hiring a reputable editor. No matter how you accomplish it, you need honest feedback. You need to know what is working and what is not working in your novel, short stories, memoir, etc. With this honest feedback, you can decide what resonates with you and what doesn't. But it's so true that we are not objective about our own writing. Some of us are harder on ourselves than readers would ever be--and that's still not objective. So find other writers or industry professionals whom you trust, give them your manuscript, and accept their honest feedback. 2. Study a Writer You Admire. I say this to my novel students and editing clients all the time. It's so important to read what you're writing. If you're writing middle grade, then read middle grade. While you're reading these professional and well-loved authors, study the craft. How do they open the book? How much dialogue do they include? How do they handle internal thoughts? What about dialogue tags and description? Use a highlighter and take notes. You're not going to copy from these authors; you're learning! Some writers say that they don't want to read in their genre for fear of copying; others say they don't have time. But even 20 minutes a day will help. Want a challenge to get yourself reading 20 minutes a day? I have one starting April 30 on my blog ,and it's free to join! 3. Allow Yourself to Dream. Your imagination and creativity are always active when you're writing, even if you're a non-fiction writer. But don't just dream about your manuscript. Dream about where you want your writing career to take you. Create a vision board. Write down your career goals. Daydream of giving your Pulitzer Prize acceptance speech. It's important to envision yourself having success while also being realistic about how much hard work it will take to get you to that success. But without the vision, you can feel discouraged at the amount of hard work and rejection that comes with writing. So...allow yourself to dream. What about you? Do you have anything else to add to the list? Margo L. Dill is a writer, editor, and teacher, living in St. Louis, MO. She teaches a novel course for WOW! each month, which includes 4 critiques of your work-in-progress. To check out more about her, go to http://www.margoldill.com. To check out her next class starting May 4, go to the WOW! classroom. Another skill set I'm working on is taking more creative marketing photos. As a writer and editor, I’ve held many different jobs over the years. I tried to make a go of it freelancing after I became a mom, but there have been different times where I’ve accepted contract or part-time positions in the field to keep the cash flowing in. It’s never been dull and my imagination gets the best of me sometimes. For example, there was the year I swore I was living in my own version of The Devil Wears Prada, only in a small southern parenting magazine instead of a New York-city based fashion magazine. The funny thing is, when I took my most recent job, the aforementioned editor told the hiring manager they’d “be a fool not to hire me.” Sound familiar? I had a good laugh over that one. 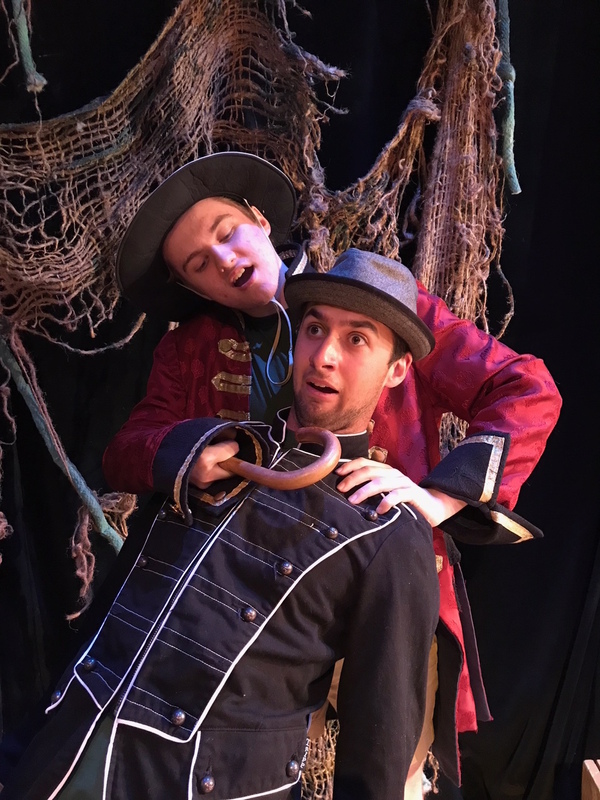 I now work in marketing about 30 hours a week for a small, regional nonprofit community theatre company, and for the first few months, I’ve had a lot of anxiety over what some would call my dream job. I mean, where else could I find a job two miles from my home, two blocks from my kids’ school, and with hours that still allow me time to freelance and work on my fiction projects? Exactly. But I let the fact that my predecessor left the company in a blaze of glory (and still makes her presence known in some way, shape or form at least once a week) make me feel like I'm inadequate for the job. Luckily I’ve been listening to some pretty motivational business/entrepreneur/author podcasts as of late that have helped me work through my work-induced anxiety. I’ve begun to realize that I need to focus on bringing my unique skill set to the position, and for the things I’m weak at (cold calling local businesses for ads and sponsorships), I need to buck up and figure out how to do better. There is nothing in my job that I can’t learn how to do—it’s just a matter of setting small manageable goals (like I wrote about in my last post) and working through them. For example, we have a popular summer series coming up and what I’m good at is finding unique angles behind the shows to pitch to the local media, which will help with our branding and generate more ticket sales. I chatted with the director of the production Steel Magnolias to find out how she plans to stage the set. That’s when I learned that the actress who gets the part of Truvy will have to learn how to wash, set and style hair—for real. The set will also have to turn into a functional beauty shop, complete with working sinks. Now that’s an interesting story! For sponsorship/sales, I’m making a list of businesses who have never advertised with us and stopping by to introduce myself and drop off marketing material without being pushy. I’m also slowly attending more community networking events. Sometimes the first step is the hardest, but I know once I do it a few more times I’ll start to feel more comfortable. I’ve started focusing more on how this job will be an asset to my current set of skills and an opportunity to build new ones. And, as you can imagine, working with directors, actors, dancers, singers, etc., gives me plenty of ideas for new material, including plays. Just saying. I’d love to hear how your own experiences in the workplace or working in the industry have helped you become a better communicator! 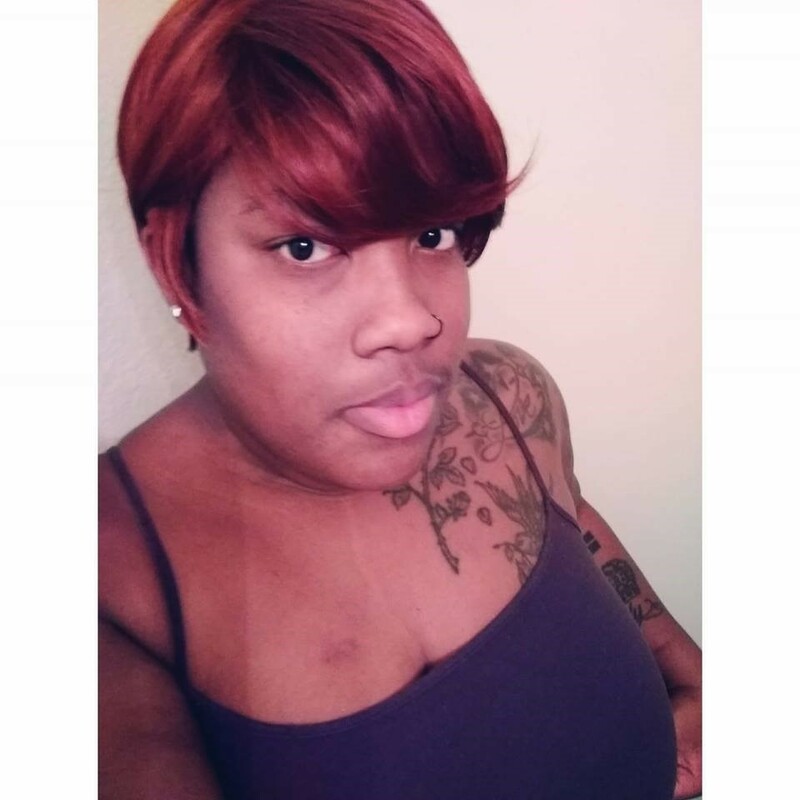 Renee Roberson is an award-winning freelance writer and editor who also works for a nonprofit theatre company. Learn more about her at FinishedPages.com. Rebecca Gomez Farrell writes all the speculative fiction genres she can conjure up. Her first short story publication came from winning 3rd Place in the Summer 2009 WOW! Women on Writing Flash Fiction Contest, and with “Hobgoblin,” she is now up to 19! Her first fantasy novel, Wings Unseen, debuted in August 2017 from Meerkat Press. You can find her other short stories in anthologies and magazines including Dark Luminous Wings, the Future Fire, and Beneath Ceaseless Skies among other outlets. Becca’s food, drink, and travel blog, theGourmez.com, has garnered multiple accolades and influences every tasty bite of her fictional worldbuilding. She lives in Oakland, CA, with her tech wizard husband and two trickster cats. Website: RebeccaGomezFarrell.com. Social Media: @theGourmez. WOW: Congratulations on your top ten win in our Fall 2017 Flash Fiction competition! What inspired you to enter the contest? Rebecca: I’ve entered and placed in WOW’s contests before, and I love the format. Not to mention that the prize money is pretty good for flash fiction publication! Someday, I’ll get that grand prize, I hope. WOW: Can you tell us what encouraged the idea behind your story, "Hobgoblin?" Rebecca: "Hobgoblin" was originally written for a local open mic literary reading in Berkeley, CA, where the readings have to be completed within three minutes. The reading series is called Saturday Night Special, and it takes place once a month with a theme. That month, the theme was Heroes and Villains. Hobgoblin was what I came up with when I sat down to write something for the open mic. I thought it would be fun to do a character sketch of a misunderstood villain from fairy tales, and hobgoblins are a more nebulous category among those. I’ve revised the short story since then, but it retains the original lyricism that makes it an ideal piece for reading aloud. WOW: You mention that you write “all the speculative fiction genres you can conjure up.” What are a few of your favorite types, and perhaps explain it a bit for people who may not be familiar with speculative fiction? Rebecca: Speculative fiction is an umbrella term for fiction that falls within the genres of fantasy, horror, science fiction, paranormal, superhero, slipstream, magic realism, alternative history, steampunk, and a few others that I’m sure I’m leaving out. The element these sorts of fiction share is that they come from asking a question that requires the author to speculate. For example, “What if Columbus had never come to the Americas?”, “What if people could read minds?”, “What if there were a world where it never stopped snowing?” When I began writing as a career, I thought I would focus on fantasy, as I’ve always loved stories that imply a deep history and lore and involve magic. But I’ve found that I also gravitate toward fairy tale qualities in my storytelling, whether existing or new fairy tales I invent, and I have written a fair bit of humorous science fiction tales. Horror, with more of a Poe or Twilight Zone feel than slashers, is also a natural fit for my narrative style. I’m not likely to write a highly technical science fiction tale any time soon, but I’m working on a postapocalyptic paranormal romance novel, currently in its second draft. WOW: Your novel, Wings Unseen, debuted last year, which must have been very exciting. What was your novel writing journey like? What did you learn along the way? Rebecca: I’m thrilled that Meerkat Press published Wings Unseen, my epic fantasy novel, last August. I had a great time putting together a book tour to promote it, and I’ve been happy with how much support I’ve received. Hopefully, a few readers will follow my work and buy my other books as they come out! By the time I graduated college, fifteen years ago, I knew the basic premise of the book and I knew my three main characters, from whose points of view Wings Unseen is told, quite well. But I didn’t seriously start writing the book until six years later, and I completed it four years after that. As I am working on any number of writing projects at a time, I am definitely not a fast novel writer! I’m still rather surprised that my first book was published, as so many authors talk about their first books being in a dark drawer somewhere, never to see the light of day again. But it wasn’t a speedy process getting there. I knew I wanted to be traditionally published, but I didn’t necessarily want to go the agent route. So I spent a year sending the manuscript to the big speculative fiction publishers who consider work from writers without agents. That went nowhere, so I decided I would try to land an agent next, and while I had some promising nibbles, I became discouraged with that process by the end of the next year. I then switched gears to small presses that take work from writers without agents. Within six months, I had a couple of offers. Ultimately, I went with Meerkat Press, and I have been absolutely thrilled with them as publishers. They provided the full traditional publication experience: advances, multiple rounds of editing, fantastic cover art, distribution, and great support and access to reviewers. I hope to continue my relationship with Meerkat once my next book is complete. It took about a year from contract acceptance to the launch of Wings Unseen. WOW: Congratulations and good luck with the next book! Thanks so much for chatting with us today, Rebecca. Before you go, do you have any tips for our readers who may be thinking about entering writing contests? 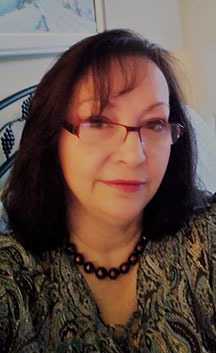 Rebecca: Contests are a great way for writers to get a confidence boost for their work – as I’ve mentioned elsewhere, my very first published short story, “Last Complaint,” was a WOW third place winner, and that was in 2011, early on in my writing career. I’d caution writers against spending too much money on contest entry fees, as it’s rare that they’ll see a return on them, but WOW’s $10 entry is right at my sweet spot for what I’m willing to pay. Plus, it’s great to have published bylines, but it’s also great to be able to list contest placements among your accolades when querying publishers and agents. Make sure you read up on the contest judges and submit a piece of your work that they’ll potentially connect with, if you can. And make sure that your submitted manuscript is as clean and error-free as possible! That always give me a leg up in the submission or contest judging process. 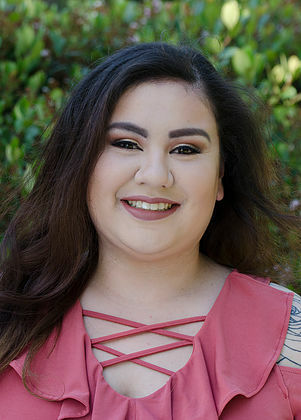 When she wakes up in the morning, the first thing that goes through Alejandra's head is whether or not she will be forced into another anxiety inducing situation. The struggles of being a young adult living with an anxiety ridden brain becomes too much for Alejandra to deal with. So, with the help of her friends, she forces herself out of the bubble her anxiety has placed her in. She learns to conquer the fears she once thought would destroy her and learns to rely on herself more than she ever has. To win a copy of the book I'm Not Okay by Renee Antonia, please enter using Rafflecopter at the bottom of this post. Giveaway ends on April 29th at 12AM EST. We will announce the winner the next day on the Rafflecopter widget. Good luck! WOW: First of all, congratulations on your book! What inspired you to write, I'm Not Okay? Renee: I started writing I'm Not Okay when my anxiety was at its worst. I was dealing with the pressures of being a young adult, but at the same time dealing with both anxiety and depression. While I was going through this time in my life, I tried to find something to help me get through the days that seemed impossible, but I couldn't find anything. So, at 19, I decided to write I'm Not Okay for the people who were in the same situation as I was and needed something to help them. WOW: I think it's incredible you found a way to help others manage their anxiety through your writing and through this book. So, what led you to take the self-publishing route? What tips do did you learn that you can pass along to another writer interested in doing the same? Renee: I chose to self-publish because I'm Not Okay was a very personal book. I wanted this book to stay as true to what I wrote as possible. However, that meant I had a lot to learn, and as a 20 year old, it was overwhelming. My biggest tip would be to take your time and hire someone to help edit your manuscript. As I mentioned, I was only 20 when I self- published, and that led me to be very impatient and even though I am extremely proud of my book, I wish I would have taken my time and found someone to edit my book to bring it to the absolute best it could be. "My biggest tip would be to take your time and hire someone to help edit your manuscript." WOW: That is a very important tip! You have obviously successfully mastered juggling a full time job and still manage to write at the same time! How did you find the time to write this book? What advice do you have for people who struggle with time management? Renee: I wish I can say that managing working and writing is easy, but I cannot lie. It was tough to come home from a long day of work and write for another four or five hours, but that is what I had to do. I stayed up until three or four in the morning writing and then was up at six for work. I even stopped going out with friends as much, just so I could squeeze in a few more hours of writing. I was exhausted, but it was worth it. That's the best advice I can give is to write. Just write even when you don't feel like it. Once you create a habit out of your writing, it becomes easier to find time to write. The 30 minute lunch break you have suddenly turns in to three pages of work. It's as simple/hard as that. WOW: That is impressive dedication! Well, I absolutely love the cover of your book. Were you involved in the design process at all? Renee: I absolutely love my cover as well! I was extremely involved with the design process. I knew I wanted something that was a little more darker so when I approached [book designer] Laura Gordon, I asked her to keep the shades dark. I also asked to have a girl and shattered mirror. Once I gave her the direction on what I wanted, she created a beautiful design that I immediately knew was perfect for I'm Not Okay. I almost shed a tear when I saw it come together so perfectly. WOW: Your cover truly depicts the battle of mental health issues perfectly. Speaking of which, mental health is a subject close to my heart personally. How does mental health issues impact you personally and how did that inspire into your book and other writings? Renee: Since I started high school, I have struggled with both anxiety and depression. Trying to go through high school with these mental health issues was one of the hardest things I have ever had to go through. For a very long time, I was super ashamed of what I was dealing with and because of that shame, I had very low confidence. Everything that I was going through kind of created this perfect storm of opportunity. Because there was constantly something going on in my head, I decided to start writing. Then, once I realized that my anxiety and depression was nothing to be ashamed of, I started to write about it and share my stories. I'm Not Okay really helped me sort through my feelings and pushed me to learn more about my anxiety and how I can help myself get better. "Once I realized that my anxiety and depression was nothing to be ashamed of, I started to write about it and share my stories." WOW: I second that as well! There is nothing to be ashamed of at all if you struggle with a mental health issue or mental illness of any kind! So, what is next for you? Will you be writing a sequel to I'm Not Okay? Renee: As of right now I have no plans for a sequel, but the amazing thing about I'm Not Okay is that Alejandra's story never truly ends. As she matures, her outlook on both life and her anxiety will change, and I think documenting that change is a real possibility. Right now, I am in the process of writing a duology that centers around a boy who lives in the Underground City in Seattle. WOW: I can't wait to see what you come up with next. Finally, who do you hope reads I'm Not Okay and what do you want them to take away from the book? Renee: I hope that anyone, boy or girl, who is struggling with mental health in any capacity reads this book and understands that they are not alone. Anxiety and depression can make people, especially young adults, feel so crazy and isolated, and I want them to know that they are not. There are so many resources out there to help people struggling, and I hope that I'm Not Okay helps people understand that utilizing those resources does not make them any less of a person. If one person can read this book and seek the help they need, then all of the late nights and stressful hours of writing would be more than worth it. WOW: Thank you so much for a powerful message for our readers and what a perfect time for that message to be conveyed. We can't wait to read the reviews when they come in. Come by Faith's blog Chasing White Rabbits to read her interview with Renee Antonia. Come by Francesca's blog to read her interview with Renee Antonia, author of I'm Not Okay. 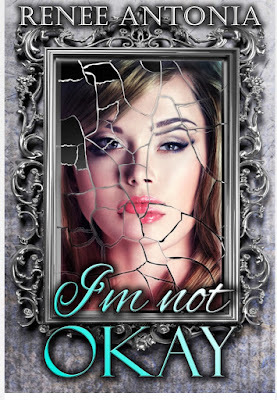 To win a copy of the ebook I'm Not Okay by Renee Antonia, please enter using Rafflecopter at the bottom of this post. Giveaway ends on April 29th at 12 AM EST. We will announce the winner the same day on the Rafflecopter widget. Good luck! About two weeks ago, I had the opportunity to attend the KS-MO SCBWI (Society of Children’s Book Writers and Illustrators) Agent Day. Not only did I get 10 minutes one-on-one with an agent who had read my book, I got to meet four different agents and hear their texperiences in being approached by would-be clients. The icing on the cake? Hearing a panel of authors discuss how they got their agents. Here are five things that have stuck with me as I prepare to send in my work. 1. Name Drop When It Is Professional. Do you belong to a professional writer’s organization? If so, be sure that goes into your query or cover letter. 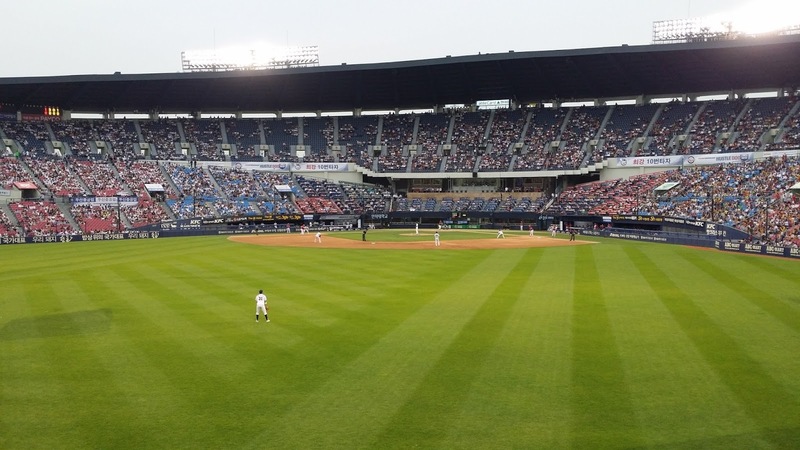 Agents want to work with pros and being willing to shell out a membership fee to a professional organization shows a certain level of commitment. 2. The Agent/Author Relationship Isn’t About Speed. I was surprised to hear that each of these agents had had people send them work immediately following a conference or other event. Not Monday. Immediately. As in before they even made it to the airport. When they give you advice about Manuscript #1, which isn’t quite right for them, and you mention Manuscript #2, they want you to apply this new knowledge to #2 as well. And maybe even #3 and #4. Show them you are teachable. 3. Enthusiasm Is a Must. Speaking of manuscripts 1 through 4, if an agent loves one manuscript but wants to see more (this is common with picture books) and then is less enthusiastic or even unenthusiastic about #2 through #4, this agent probably isn’t a good match for your body of work. 4. Enthusiasm Needs to Go Both Ways. If the agent is also an author, read what she has written. And be sure to read books that she’s represented as an agent. 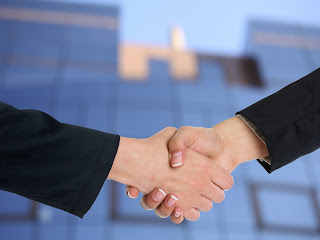 I recently had the opportunity to submit to an agent who was an excellent match for me or so I thought. 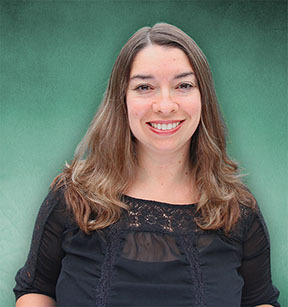 She represents fiction and nonfiction, picture book through young adult. But then I read both what she repped and what she wrote. Um, no. They were good books but they were so cute. Cute is not my thing so I need to keep looking. 5. Stay in Touch. If an agent says that she wants to see more of your work, she means it. If you still think she’s a good match, follow through. Far too often, agents ask for things and never receive them. They aren’t asking just to be nice. Seriously. Now if you’ll excuse me, I have two manuscripts to rewrite. My manuscript wasn’t right for the agent who did my critique but another agent in the office loves science. That said, the first agent does want to see another manuscript that I mentioned to her. Of course, that means applying what I learned. Then my work will be winging its way, hopefully, to someone who wants to rep it. Last week, our school hosted the rising freshman for a morning-long orientation. Towards the end of the affair, a small group of 8th graders joined each teacher’s advisory group to hear first-hand about our school. During advisory, I noticed one of the 8th grade boys was reading Crank by Ellen Hopkins. I remember thinking, at the time, that I had that very book in my classroom library, and I was glad to see him enjoying it. The next day, while I was re-shelving some books kids had borrowed, I noticed a large space in the middle of my Ellen Hopkins books – the exact space that used to house Crank. It didn’t take me long to put two and two together. He had been reading my book, and he had slipped away with it. If you’ve read Crank, you’ll understand why I couldn’t be that mad at him. Hold on. Take a breath. I’m not advocating for or extending my approval of stealing in any capacity. In fact, I plan on tracking him down to ask him to return it when he’s finished; but, the idea bears consideration. Is there a book out there that, under the direst of circumstances, you’d take a deep breath, push away morality, and steal? I’ve been thinking about that idea for the last couple of days. What book would make me ignore my moral code? Would I steal for more than one book? I finally settled on an answer, and I’ll share it shortly enough. But let’s get to my larger point. When I mentioned this story to a friend, she laughed. 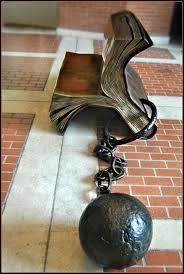 “Why would anyone steal a book?” she said. But I knew the reason. Personally, I can think of no worthier candidate than a book. They offer something so much more valuable than money. They offer memories. They offer ideas. They provide the opportunity to experience other worlds and cultures from the comfort and warmth of your own bed. We find love and sorrow and unadulterated joy in their pages. Books have saved me on more than one occasion. They mean so much to me, in fact, that I started writing my own. What book(s) would make you become a book thief? Even if it has been an overwhelming endeavor, I have learned so much about writing and characters and plotting through the process that I don’t regret it. I remember with the first book I published, a mystery, I swore I would never write a mystery again, as I felt my brain was simply not big enough to contain all the important elements. Of course, like the pain of childbirth, I quickly forgot this vow, and soon launched into writing another mystery. Writing a series was taxing to my brain capacity in the same way, but multiplied by about a hundred. However this time I’m not vowing to never try it again. Instead, I’m focusing on what I’m learning, and what might make the process easier next time. I wanted to share these takeaways, in case they are helpful for others. 1. Make sure you’re working with characters you really love, and that you know them inside and out. Before writing my series, I hadn’t realized how little I had known some of my former characters. With Kass and Eli in my series, I can not only tell you the superficial stuff, like what they eat for breakfast, but also how their biggest wounding in their lives still flavors their speech and actions. Knowing these characters well has helped keep my interest alive through seven books, which is important, because if I lose interest, my readers certainly will. 2. Use software that will help you keep everything straight. For me, this software is Scrivener. In the past I’ve heard many-a-writer tout the divine and ethereal all-powerful qualities of Scrivener. I had it on my computer, and used it from time to time, but didn’t think it offered much more than my usual writing software, Microsoft Word. When undertaking the task of writing a whole series, though, I found a whole new respect for Scrivener. I can divide my books into sub-folders upon sub-folders, and scenes and chapters, and see at a glance what is in my entire seven books. Not only that, but I can easily look up if I’ve already used a character name in any of the books, or use the project replace feature to quickly replace words or names throughout the entire series. Plus, I can easily format my books, including header images, pretty scene breaks, and small caps at the beginning of chapters, right from the Scrivener Compile tool. As you can tell, I’ve joined Team-Scrivener-Love, but for good reason! 3. Write out of order, if it helps. I’ve always been a linear writer, writing a novel in order from start to finish. But it seems I often have to rework my beginnings many times after reaching the end, in order to get them right. With a series, I’ve felt more freedom to jump around throughout the different books I had planned, and write scenes as they came to me. This, I think, helped flavor my characters and helped me get to know them in a deep way, so my early chapters of early books hinted at the depth of these characters. This helped to create a thread of growing characterization over time. Those are a few of my tips for writing series, but because this is my first and I’m by no means an expert, I would LOVE to hear any other thoughts and suggestions of helpful practices. It’s still a little overwhelming for me to even think of trying to embark upon a new series, but I am starting to see how it might be considered fun…some day. Jaden’s other young adult novels include Never Enough, Foreign Exchange, A Christmas Kerril, Avalanche, and Outcast. Her non-fiction books for writers include, Writing with a Heavy Heart, Fast Fiction, and Story Sparks: Finding Your Best Story Ideas and Turning Them into Compelling Fiction. It is such a pleasure to sit down and chat with an author. 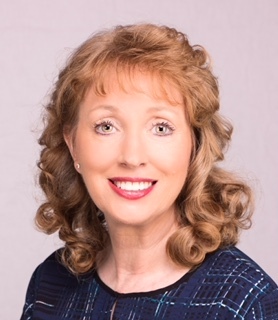 Today, I have such an honor as Karen Neary takes time out of her busy schedule to talk about her recently released book Death in Disguise. Be sure to leave your comments and questions so you too can learn more about this talent author and her latest work! WOW! : Thank you for taking time to chat with readers here at WOW! Let's dig right in. What prompted you to write this story and share it with the world? 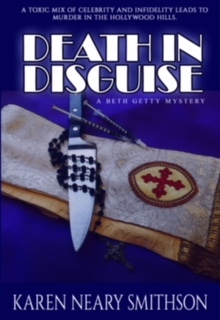 Karen: I’ve always enjoyed reading mysteries and trying to figure out “whodunit” before reaching the final page. One evening, I mentioned to my husband an interesting article I had read in Writers Digest regarding a memoire written by a former nanny working in Hollywood. My husband’s off-handed reply was that I should write the Death of the Hollywood Nanny. That comment spurred me to begin the journey of penning my first mystery which evolved over several drafts to become Death in Disguise. It was quite an endeavor learning how to craft the elements necessary to create a believable and entertaining story but once I achieved that I thought it was time to share the novel with the world. WOW! : One could assume your husband is a large influence in your career, but you know what they say about assuming? Karen: I never planned to be a writer but rather a painter. But, while working at a spouse abuse shelter in Florida I came across the idea to write a novel about domestic abuse. I figured I’d read hundreds of books so it couldn’t be that hard to write one. So, I began writing. I can’t point to any one person who influenced my career but some writers that have influenced my writing are Taylor Caldwell, Mary Higgins Clark, Elizabeth Peters, Alexander McCall Smith, and Tracy Chevalier. Obviously, they’re not all mystery writers and have diverse styles though each possess (or possessed) a creative, and wonderfully magical way of inscribing their ideas, plots, and interpreting the world around them. Artist that have influenced my style are probably too many to mention from my all-time favorite Leonardo da Vinci to contemporary artists Cesar Santos, Erik Koeppel, Lauren Sansaricq, Alison Menke, and Jaclyn Santos. All are representational and masterful in their own style of technique and expression. WOW! : Other writers are a big part of your life, so I'm prompted to ask: Are you a member of a writer’s group? Karen: Yes, I am a member of a writer’s group called DreamWeavers Ink. It’s composed of a group of talented writers of various genres. Our members are extremely supportive and offer outstanding critiques that often assist in making the writing stronger and more vibrant. In addition to critiquing each other’s work, we share our experiences regarding querying, agents, publishing, and marketing ideas. I’m also a member of Sisters in Crime, a world-wide organization that offers networking, advice, support, and whose goal is to enhance the professional development of women crime writers. Additionally, I’m a member of their subgroup, the Guppies (the great unpublished—though many of us remain in the group after being published), and the local Chesapeake Chapter of SinC. Though writing is a solitary activity having connections with other writers is inspiring and energizing. WOW! : Speaking of critiquing - How do you deal with rejection and nay-sayers? What advice would you give other authors as far as overcoming objections and rejection? Karen: I was well aware that the world of publishing is highly competitive so I was not surprised when I received a slew of rejections. It didn’t cause me to become depressed or discouraged. I continued writing because I had a group of friends and family members who enjoyed reading my work. The thought of becoming a published author was always in the back of my mind so I continued with my search to secure a literary agent and a publishing contract. I would advise aspiring authors to enjoy the writing process and develop their craft, join a critique group, and learn about the publishing process—how to write an impressive query letter and a succinct synopsis, proper formatting, etc. My main piece of advice is don’t allow nay-sayers to distract you but to hold fast to your dream and write, write, write! WOW! : Thank you for all your thoughts, advice, and ideas Karen. Thank you most, for your time. It's been our pleasure here at WOW! This has Sibeal “Beth” Getty, perplexed. Beth, an Irish born fashion model gifted with an uncanny sixth sense, was acquainted with the nanny and knew of her aspirations to become an actress. The veiled motive for the deaths haunt Beth and after reading the nanny’s stolen diary, she is hell-bent on unraveling the mystery surrounding the slain teens. But she doesn’t know the first thing about conducting a murder investigation, that’s her detective husband’s line. With a healthy dose of determination and her intuition in high gear, Beth forges onward. She begins to link unconnected details and stumbles into a tangled web of deception that makes clear, nothing is as it seems. Help comes from an unexpected source when Beth’s self-centered, actress friend offers a lead and hand in solving the crime. As Beth inches closer to detecting the murderer’s true identity will she be the next victim on the killer’s list? Karen Neary Smithson has been a child advocate, human rights commissioner, and an art educator. As an author of traditional and cozy mysteries she finds writing magical. 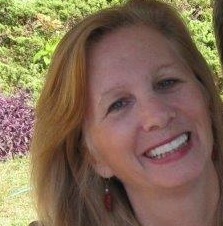 In addition to writing, Karen is an award winning artist whose paintings are displayed in local galleries. An avid collector, she focuses on varied genres including ancient coins and African art. She has been known to pop up as an extra in Baltimore based movies and television programs. She lives with her husband and three show cats in historic Ellicott City, Maryland. If You Want To Succeed in Writing, You’ve Got to Play Ball! Y’all know how much I like my sports, right? And with April comes baseball, which I’ve followed since I was a little girl watching on a 20 inch, black and white TV. I even played baseball with my three brothers and the neighborhood kids in the road next to my house. Every time a car came, we’d scramble to make the play before running to the side of the road to glare at the driver who had the nerve to interrupt our game. Think about it. A star hitter in the Major Leagues may bat .325. That means he only gets a hit 30% of the time; he fails 70% of the time! And what’s more, baseball keeps track of every error in every game. You might want to forget dropping the ball, making a wild throw, or missing the base, but that error is always there. Like Vincent said, the truth is in the stats forever. It sort of keeps one humble, doesn’t it? When we want to sell an article or get an agent to sign us, we make a pitch. If we want to succeed, we understand it’s a numbers game. We know that we have to throw lots of pitches out into the world for that one successful hit. And failure is basically the norm when it comes to writing, too. Gosh, I’ve failed way more than I’ve succeeded! Any writer who’s managed to get a body of work published has racked up a ton of rejections. Speaking of which, we hold on to those rejections. It’s our statistic of honor, proof that we’ve put ourselves out there. And when we succeed, we can look back on those rejections with a Ha! Take that, you lousy rejections! But deep down, we know: those rejections are our part of a writer’s truth. Without the rejections, there would be no success, and that’s mighty humbling. So thank you, baseball, for getting me prepared for a writing career. It’s nice to know I haven’t wasted my time, enjoying one of my favorite sports. And it's not too late for you. 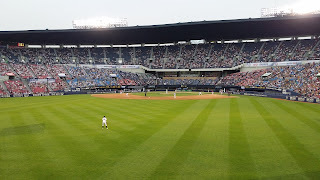 Play ball, friends, and keep writing! WOW! recently announced the winners of our 2017 Fall Flash Fiction Contest and we are proud to announce Tina Tippett from Eldersburg, Maryland as one of the runners up with The Naming. Tina Tippett makes her living as a legal assistant in a busy law firm just outside of Baltimore. She began jotting poetry in the margins of her schoolwork in elementary school and continued to do so through her career as an English major at the University of Maryland. A single mom, writing often took a backseat to balancing work and home-schooling her two beautiful daughters. After losing her mother in 2001, she rediscovered the cathartic quality of writing and was able to complete her first novel, Dreams of Mother, the following year. A series of life-changing events brought on a writing hiatus which lasted until 2014. That year, she reached back and self-published Dreams of Mother. Empty-nested within the last year, she’s discovering the conflicting distress and freedom that come with the territory, and with encouragement from her fiancé, she’s spending some of that extra time reconnecting with her muses. She is enjoying re-honing her skills on flash fiction, short stories and writing lyrics with fiancé David, a bluegrass musician. She remains very close to her two daughters, one of whom is married and pursuing a degree in early childhood education and the other who has a passion for creative writing as well. She currently resides in Eldersburg, Maryland with her fiancé and their senior citizen cat, Max. Tina is an avid reader of what she wants to write—women’s mainstream literature. She is working on her second novel, and planning her October wedding to her best friend, David. One of her most treasured material items is the hard copy of Wally Lamb’s I Know This Much is True, which he autographed to her during a speaking engagement in 2014. The inscription reads, “All the best to a fellow scribe. Enjoy the journey.” Placing in the top ten in her first flash fiction contest has bolstered her confidence—she is taking Mr. Lamb’s advice. WOW: Let's dig right in and ask the toughest question first. I'm impressed with your bio, but it leaves me wondering: How do you juggle a busy career as a legal assistant and your role as a single mom with your passion and love of writing? What advice do you give others who may struggle with time management? Tina: I struggled for years with time management, which can subconsciously be a good excuse to give in to self-doubt, and I’ve been guilty of that. “Oh, I just don’t have time,” can be your way not to admit, “I don’t feel like it will be good anyway.” Even as a recent empty-nester, my job is so busy and high energy that I struggle to find time. But it helps to prioritize yourself – tell yourself honestly where writing comes on your list of important things in life. As women - moms, employees, spouses, friends - it’s important for women to remind themselves they don’t have to do everything. I’ve found that on my priority list, writing comes just under my family, fiancé and job. The time to write has to be carved from somewhere less important on the list, even if it seems difficult. I may sacrifice a half hour of sleep in the morning before work, or forgo a favorite tv show, or even skip dusting or scrubbing the tub one weekend. The grime and shows will still be there later. Creativity can be fleeting, and the rewards of feeding your passion are endless. WOW! : Wait, what? We don't have to do everything? Such a common thread with mothers. Thank you for your great advice. Now that we've discussed time, let's talk about space: Where do you write? What does your space look like? Tina: I probably have this in common with many writers – I do my best work while either driving to work or trying to fall back to sleep at about 2:00a.m. That’s when the phone “memo” or voice recorder works for notes. But when I sit down to turn those sparks from the most inopportune times into fiction, I have an old green recliner that has seen better days that I climb in, laptop in hand. If I need to pause and it’s daylight, I glance out at my bird feeders which calms my mind and often gives me focus. WOW: Those little creatures can help put us in the right place or should I say "write place"! Tina: Submitting to WOW was one of the best choices I have made as a writer, and the option of purchasing a critique is great for those struggling with confidence, as I was. It’s an opportunity to learn and grow as a writer. I was invited to join a Facebook closed writers group last year, and it has a bimonthly flash challenge for which I wrote my first ever flash pieces. The admins give feedback and are always available for questions. It began a cycle that is still in motion. Placing in WOW has given me the confidence to keep writing, and I find the more I write, the more I want to write and the easier ideas and words flow. I’d suggest if you’re on the fence about submitting to a contest, edit and polish your best piece until you’re sick of reading your own writing, then jump off that fence on the side of courage. All you have to lose is a generally nominal entry fee, but there is so much to gain. What’s next for you? What are your writing goals for 2018 and beyond? Tina: I finished my only novella in 2002, after which a series of challenging life events halted writing for many years. Now that I have fallen back in love with writing and do so almost daily, I am vigorously developing characters, plots and taking notes for my next novel I’m toying with the title Trash to Treasure, taken from the adage, “One man’s trash is another man’s treasure. My goal is to have the first rough completed by year’s end. I’d also like to overcome my fear of query letters and finding an agent, and perhaps seek an agent to take my first book, Dreams of Mother, from its current self-published format to traditional, even if it required a major re-write. WOW: I figured you were working on something - you don't seem like someone who sits idle. I must also admit, I am tickled pink about interviewing you. I also have a signed copy of Wally Lamb’s I Know this Much is True – and I’m super jealous that you’ve met him in person. Can you share with us some of what you learned from him and listening to him speak in 2014 as well as your take a ways and how that’s helped you as a writer? Tina: I’m sure when someone thinks about going to see an author speak, they are prepared for all the mirth and excitement of a silent auction. But Mr. Lamb was humble, warm and very funny. He lends an everyday human aspect to someone whose work I revere. And what I remember best was him describing his process, which I could actually relate to – it helped me overcome my personal doubts about my own process. Where I read so many folks talking about outlines, plot notes, etc., I am far too unstructured to try that. Apparently, so is Wally Lamb. He shared with us something that I relate completely to: he starts where he starts, just an idea, no beginning, climax, or end in mind. An image, a voice needs to be captured, and (hopefully, if you’re lucky) that character tells you what’s coming, or that plot reveals itself to you. I used to tell myself this was creative, but really, I thought I was making an excuse for myself not being well structured or organized. During the writing of We Are Water, he struggled with plot so badly that he described himself sitting in his basement playing with one of those old paddle toys with the pink ball tethered to a string. That image is still so empowering (and humorous) to me –I used to imagine the greats hammering away at a typewriter or keyboard, possessed by muses, plot points painted on a perfect timeline with their character’s names, zodiacs and psychological issues perfectly in their minds. But I learned from Wally Lamb that I might just have this one thing in common with successful and talented writers: some of them just might start with a scrap of an idea, struggle, wing it, and work hard until the craft molds it into a gift. It’s amazing to learn you might be doing something right all along, especially if it works for you. WOW: This interview has been absolutely such a joy and thank you for sharing your Wally Lamb experience! Thank you for sharing your thoughts and ideas and congratulations again as one of the runners up for the WOW! Women on Writing Fall '17 Fiction Contest!